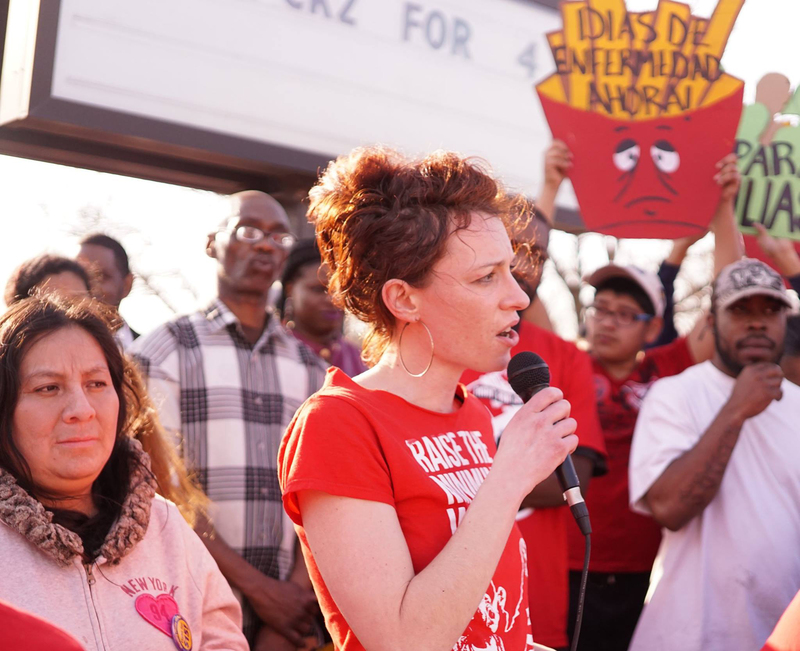 With months remaining until election day on November, the Socialist Alternative-backed campaign to elect Ginger Jentzen has already inspired over 1,000 grassroots donations, totaling over $60,000. That’s the most of any city council campaign that doesn’t take money from big business or developers, and three times as much as Ginger’s Democratic Party (DFL) opponent for Minneapolis City Council Ward 3! But corporate cash is poisoning the Minneapolis elections. A record $1.3 million has already poured into mayoral race, much of it from big business interests. And we know this is just the beginning. Any day now, big business and wealthy developers will turn their efforts towards preventing Ginger and the forces that won $15 in Minneapolis – a transfer of $140 million/year from the corporate class to working people – from gaining a seat on the City Council. While big business is buying its candidates, Berners have chosen theirs – Ginger is endorsed by unions that supported Bernie like the Minnesota Nurses Association and the Communication Workers of America, and organizations like Our Revolution Twin Cities and the Democratic Socialists of America. Bernie showed how a campaign can be financed by the people, not the billionaires. Kshama Sawant proved in Seattle that we can run a bold independent campaign and win at the city level. Now, Ginger’s campaign can show that what’s happened in Seattle is not unique, but a model that can be replicated across the country. It will be crucial to winning as a local independent campaign to inspire young voters at the University of Minnesota who overwhelmingly supported Bernie’s call for a political revolution. In addition to knocking on thousands of doors across the ward, the Vote Ginger campaign will launch a major outreach initiative on the University of Minnesota campus. This will include town hall meetings to organize around key issues like affordable housing, climate change, and building movements to resist Trump’s racist, sexist, xenophobic, anti-worker agenda. A majority of millennials reject capitalism, and in a UCLA survey last fall, 1 in 10 incoming freshmen said they expect to participate in protests – the highest in the 50 years they’ve administered the survey. In Minneapolis, and across the country, there’s outrage against corporate politics-as-usual. By electing another unapologetic socialist to City Council, we can demonstrate the possibility of building an entirely new fighting, working class political alternative, a new party of the 99%. Previous articleMinneapolis Establishment On the Ropes: Time to Build a Political Alternative!